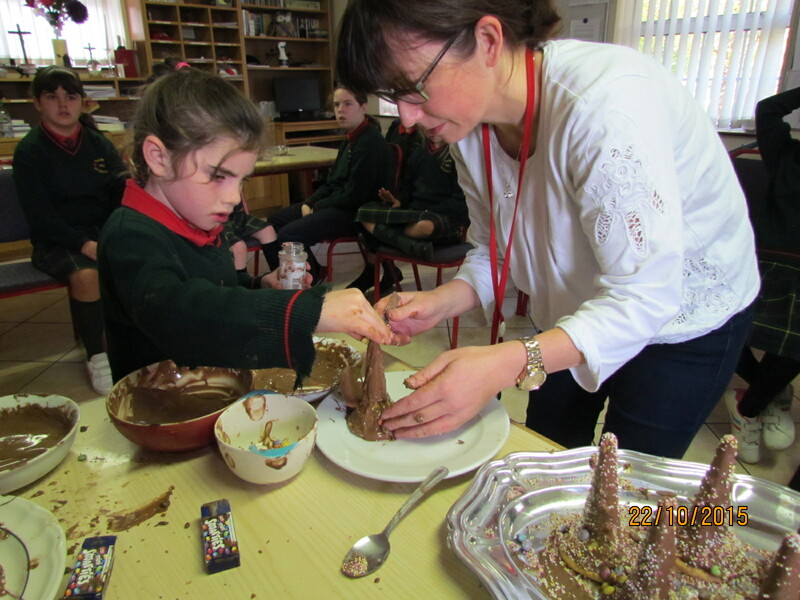 Feast your eyes on the delicious goodies that were cooked up in Scoil Mhuire today. 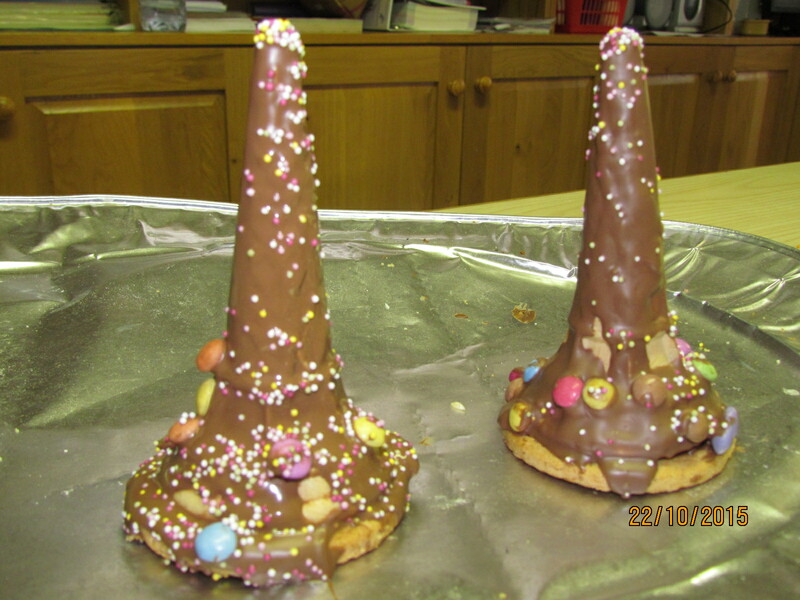 No cauldron or witches required – just lots of chocolate, sprinkles and happy helpers. 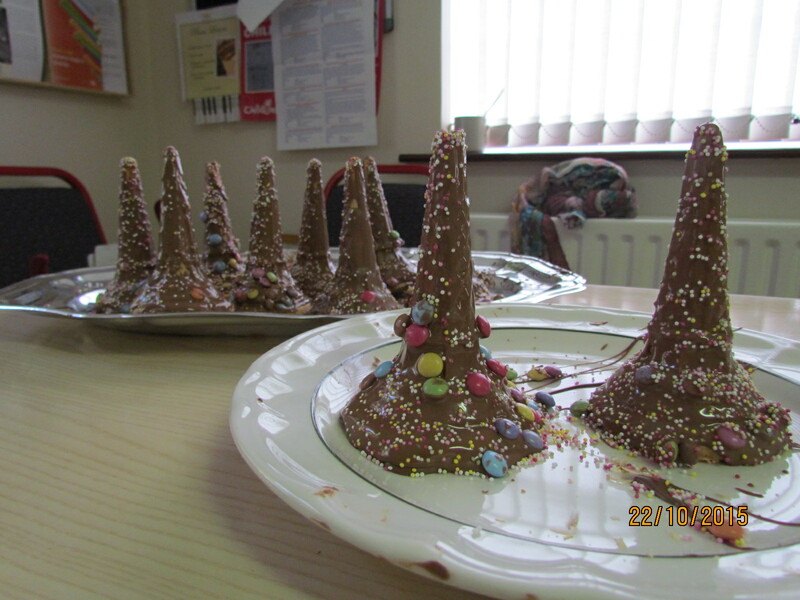 Nobody is quite sure how they lasted before they were devoured….but the results were unanimous – DELICIOUS!! 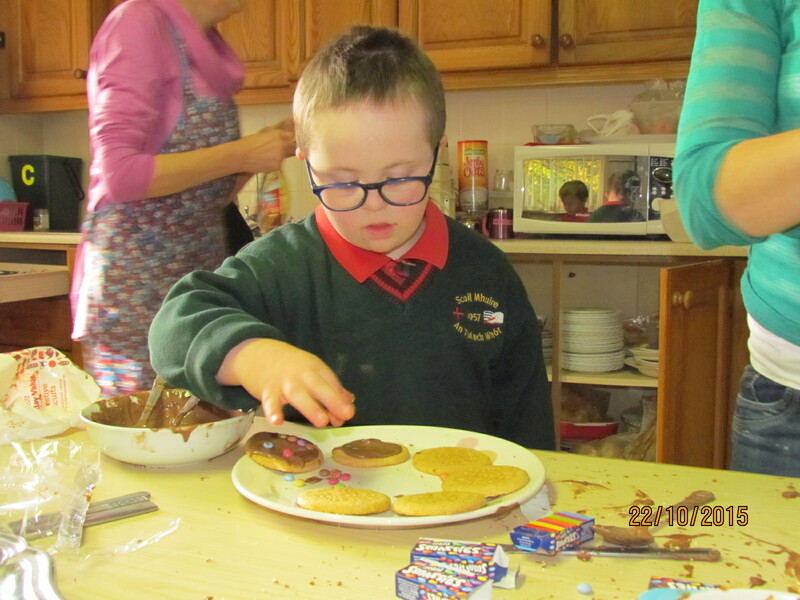 Very serious work going on. All the hats lined up to be demolished! 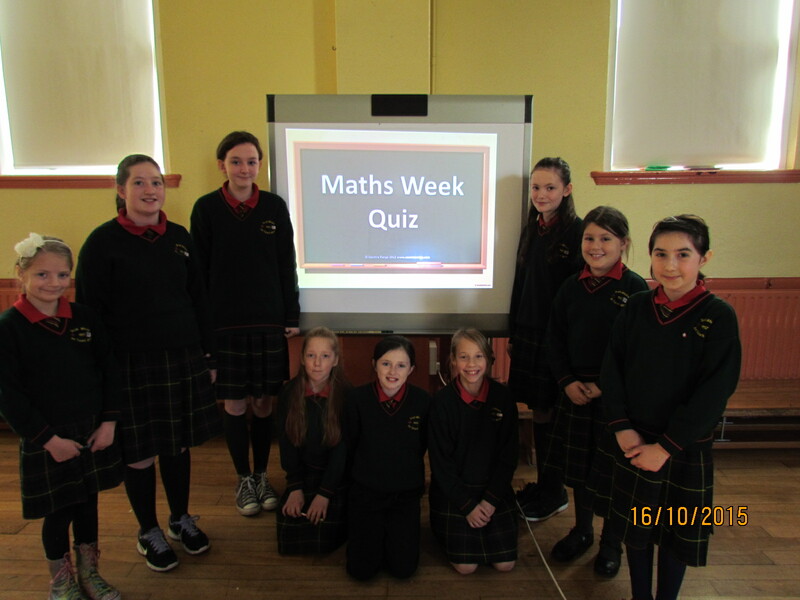 Once again, Maths Week was very successful here at Scoil Mhuire – all the classes thoroughly enjoyed getting stuck in to different activities around the school. They soon discovered that Maths is in fact all around us. 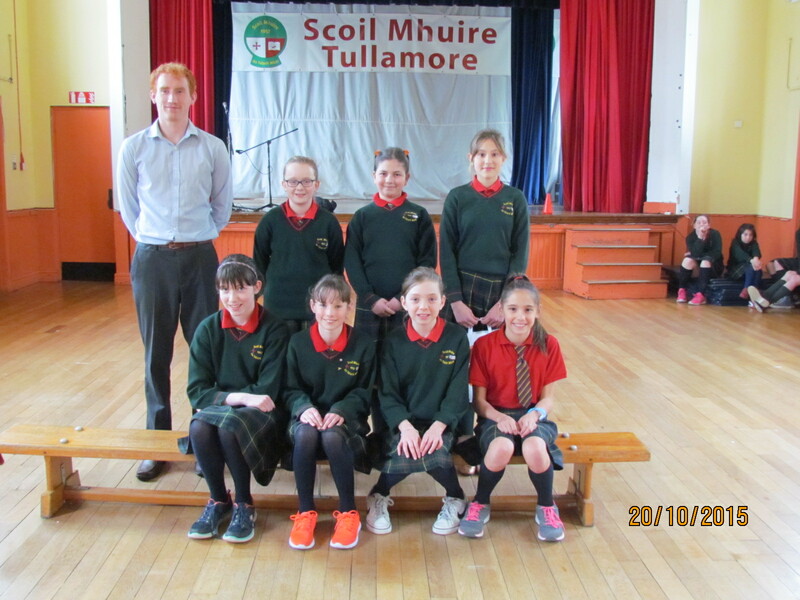 Mr. Hickey and the senior problem solvers. 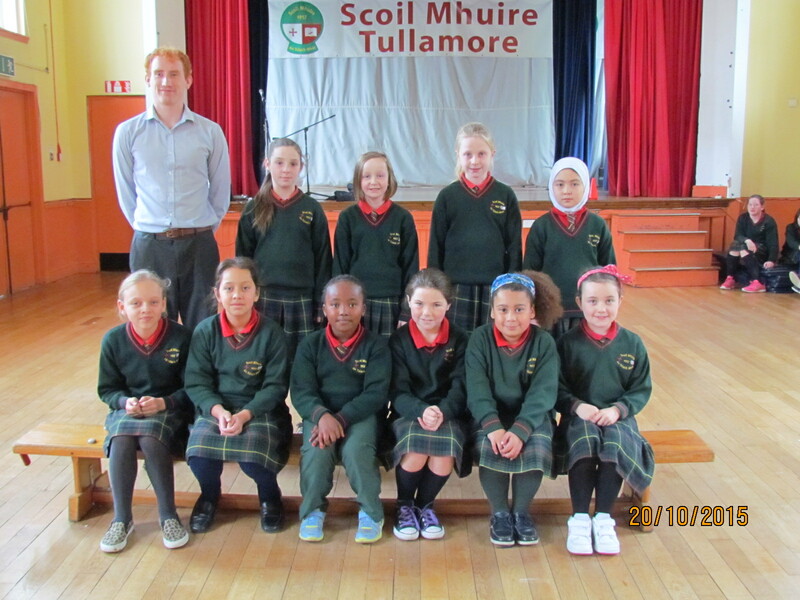 Mr. Hickey and the junior problem solvers. Maths! 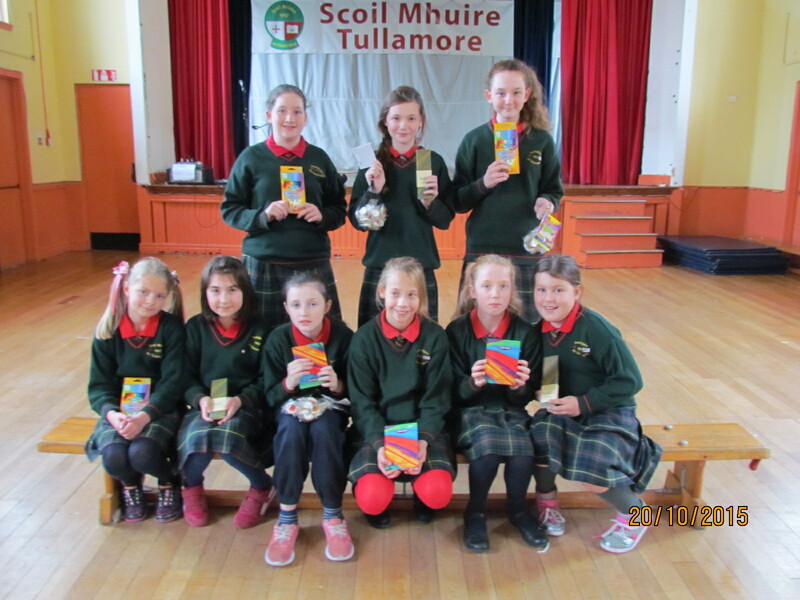 First Class – Super Spellers! 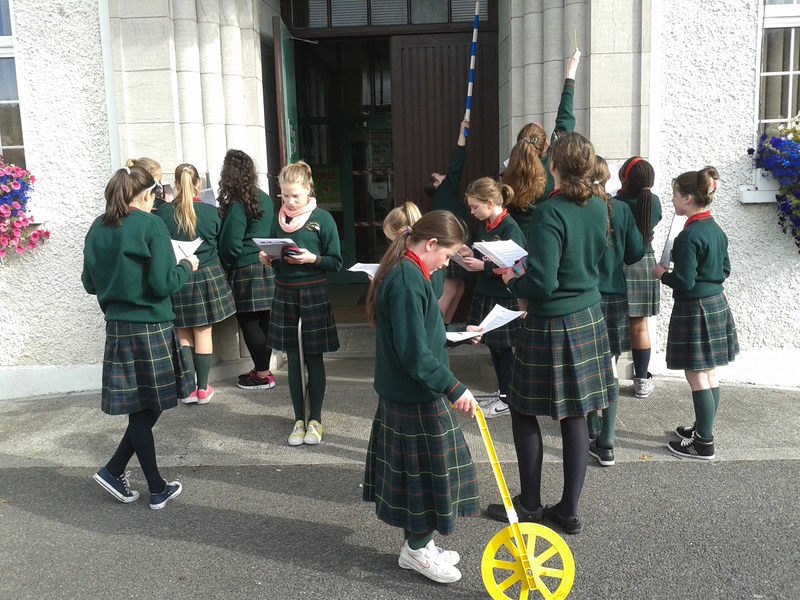 6th Class finding maths all over the school. 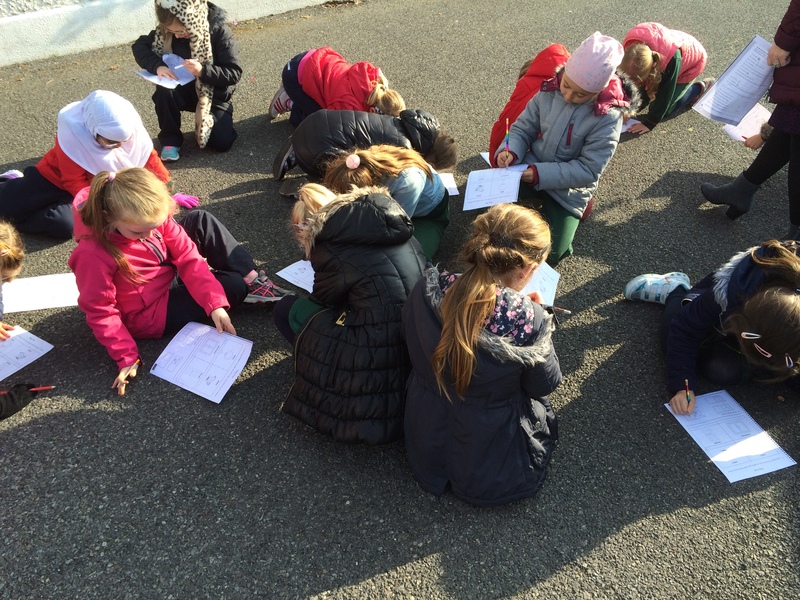 First Class working very hard at their maths. 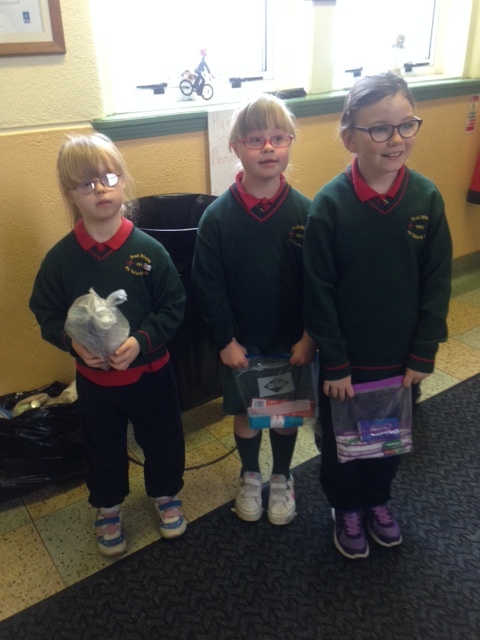 First Class busy at Maths! 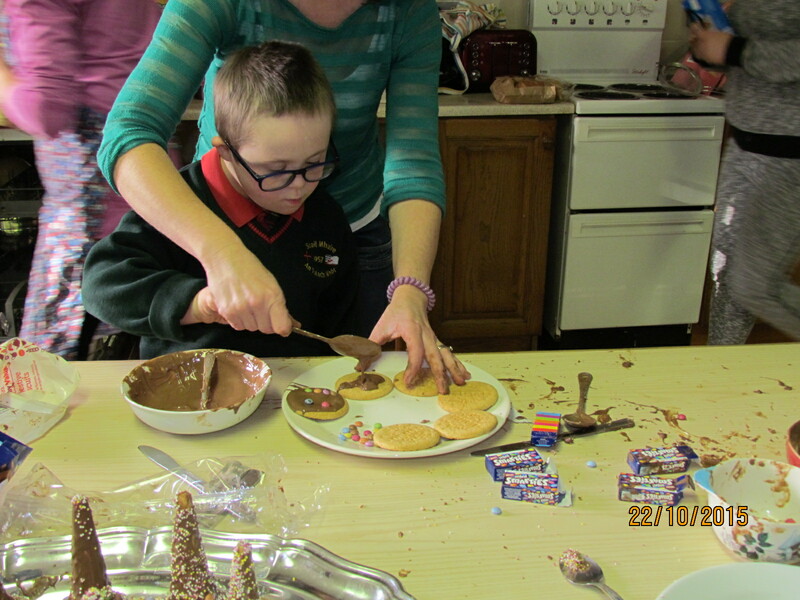 Second Class getting stuck in. 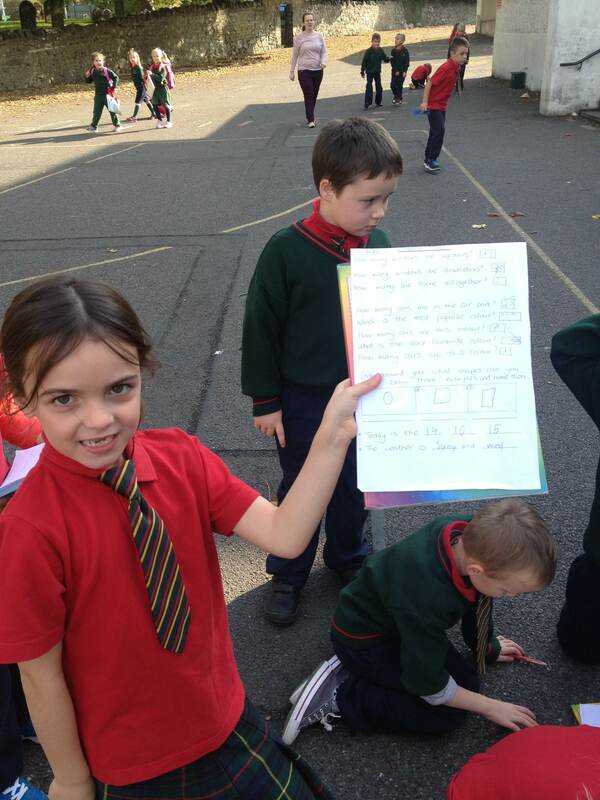 Second Class finding maths all around us. 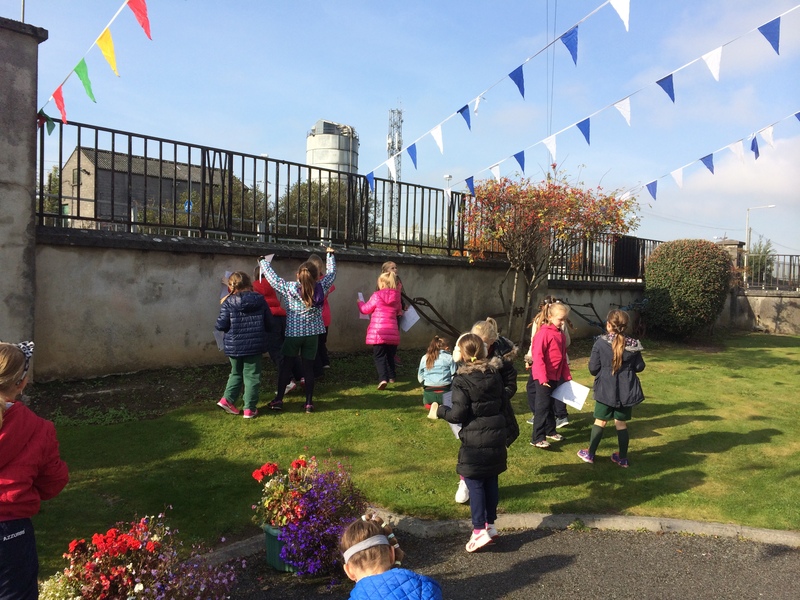 To celebrate Science Week 2015 there are free family shows in Athlone on Saturday and Sunday 7th and 8th of November in St. Mary’s Hall, Northgate Street, Athlone. Shows are at 11am, 2pm and 4pm each day. Suitable for children aged 5 and up. All children must be accompanied by an adult. All Shows last for 50 minutes and are FREE! For further information check out http://www.midlandssciencefestival.com. 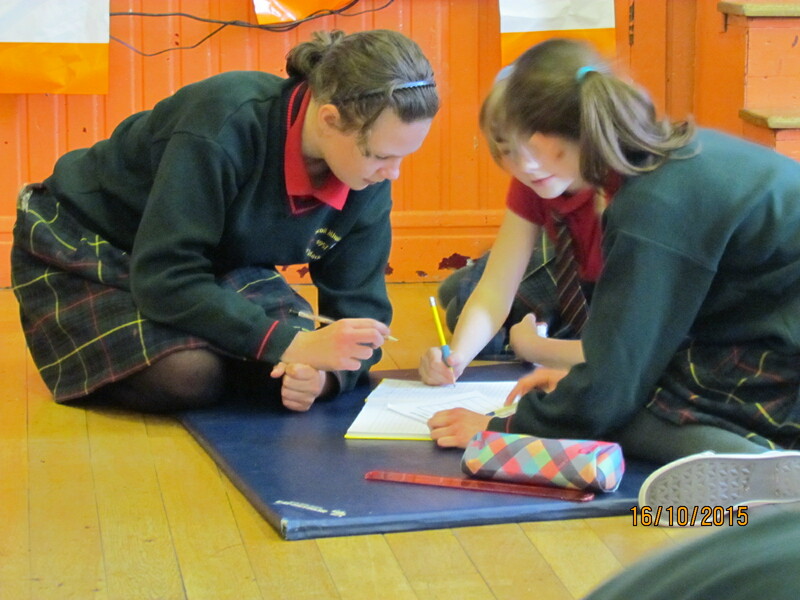 Last week the students took part in Maths Week in all sorts of fun ways. 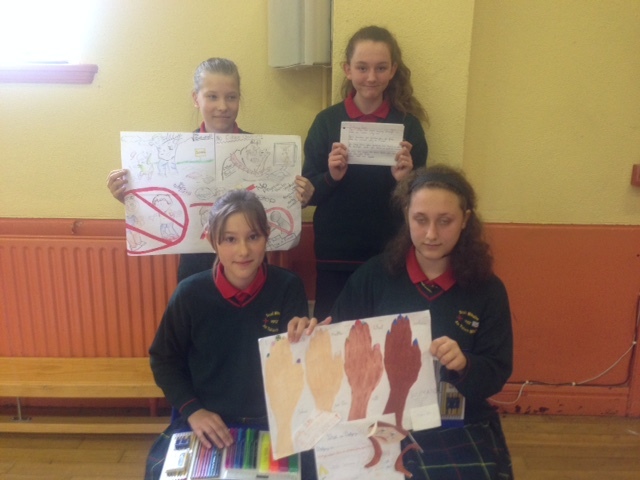 Maths trails and a table quiz proved to be very popular with everyone. 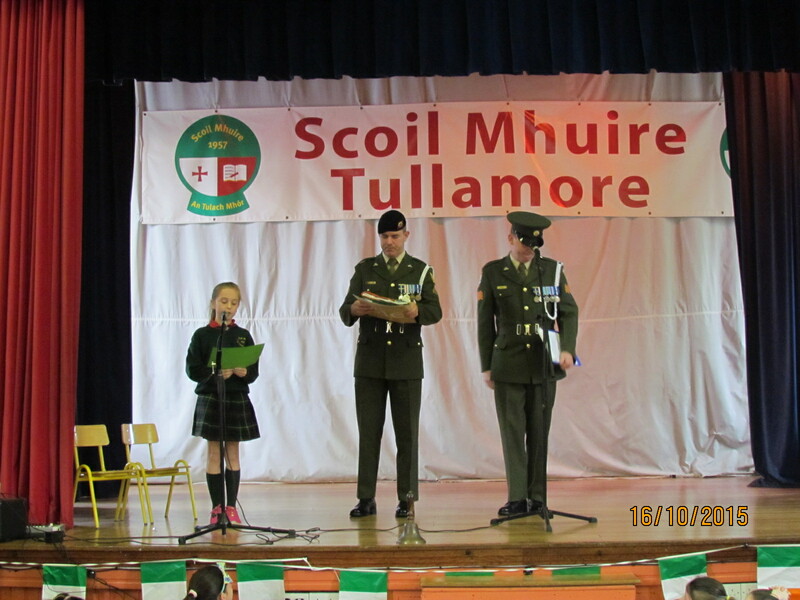 Here are just a few photos from the busy crew here at Scoil Muire. 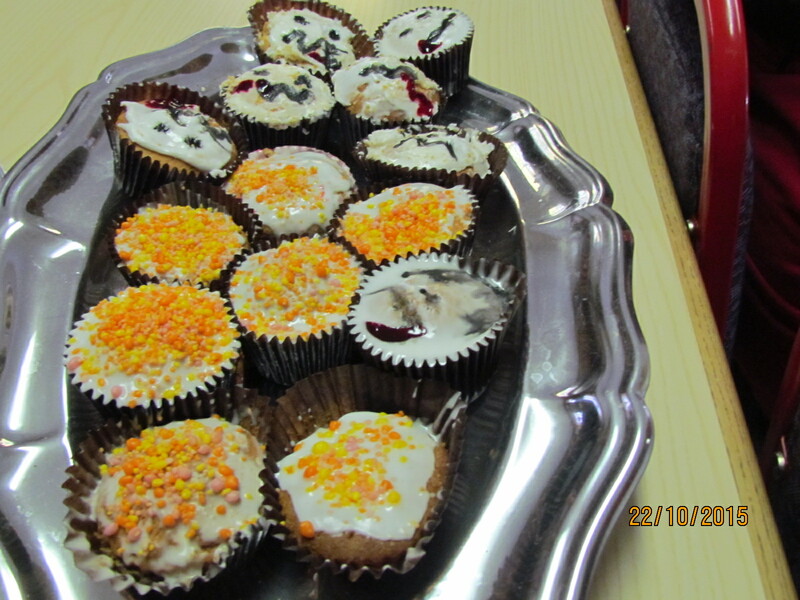 Also – we are getting in the mood for Halloween and the halls are getting spookier every day! 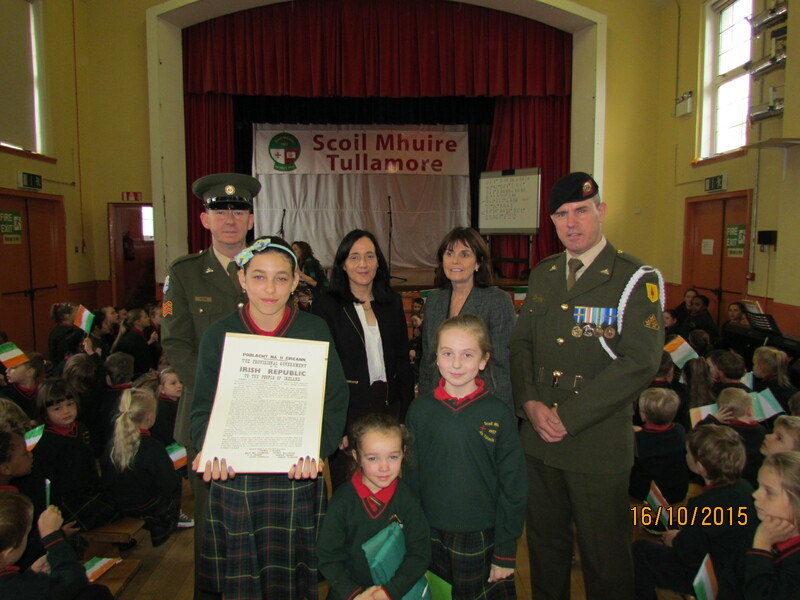 It was a very exciting day here at Scoil Mhuire as Sgt Quinn and Gunner Scally presented a copy of the 1916 Proclamation and our National Flag to Scoil Mhuire. 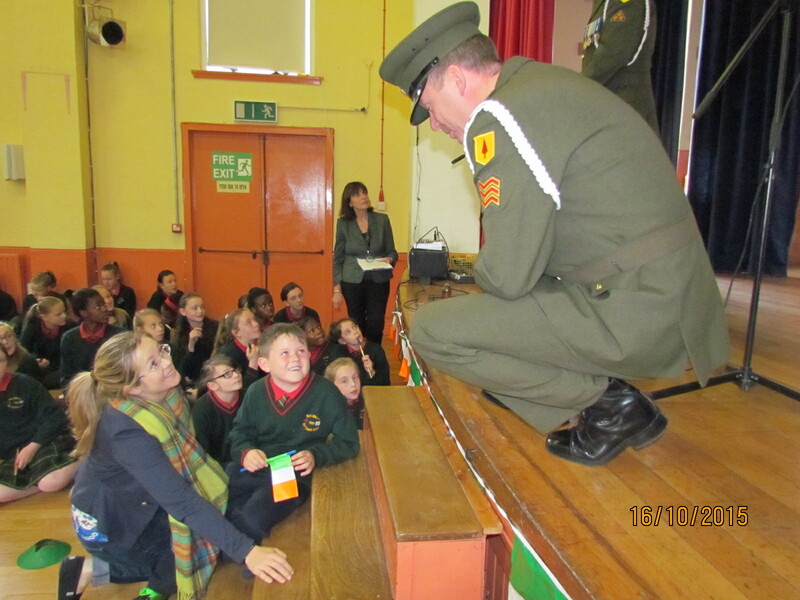 The Defence Forces were warmly welcomed by Principal Ms. Doheny on arrival. 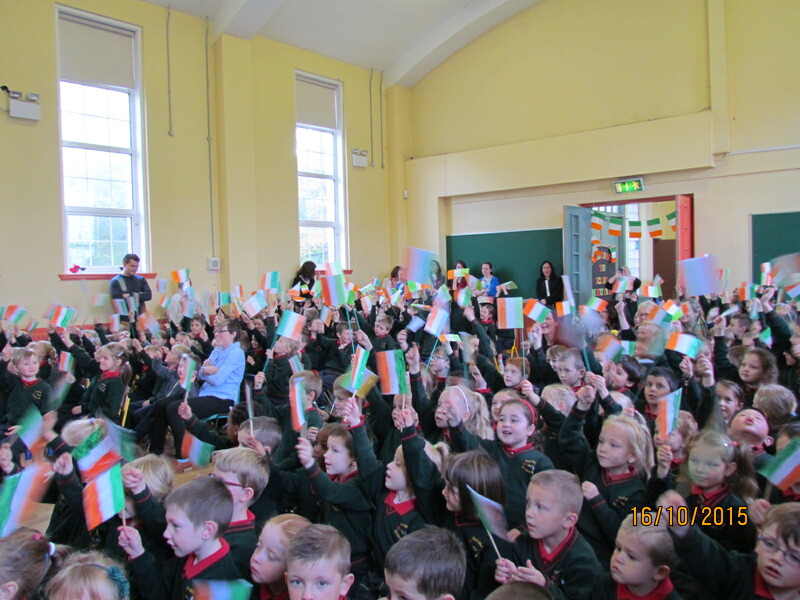 The children waved their flags and sang Amhráin na bhFiann in full voice. 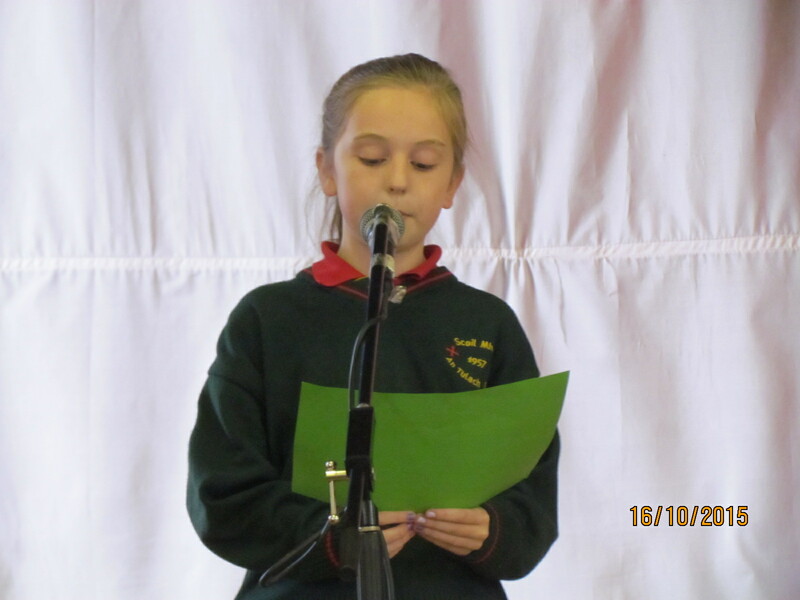 Some students also gave a lovely rendition of our national anthem on tin whistle. 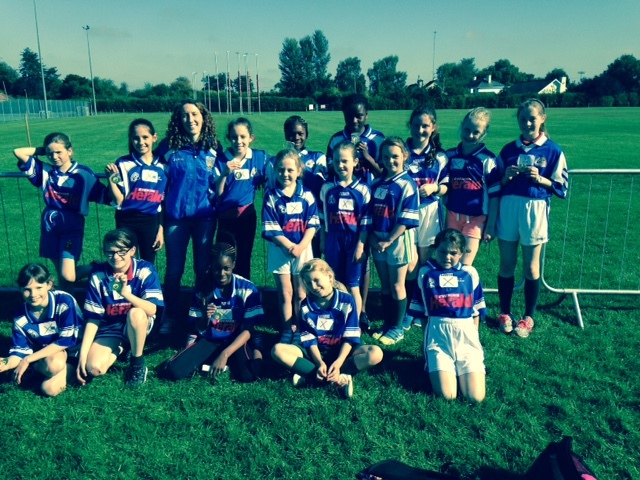 It is a day we will never forget. 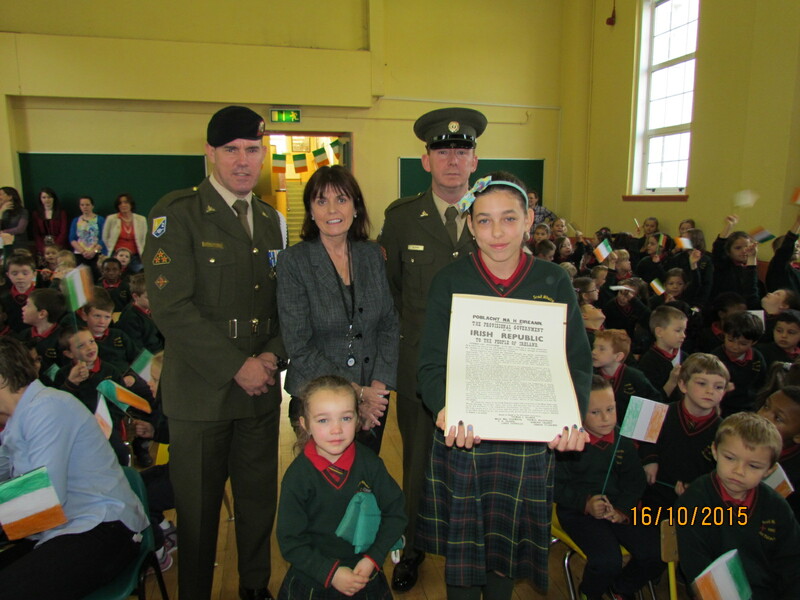 Organiser Ms. Bernie Fahy, Principal Doheny, Sgt. 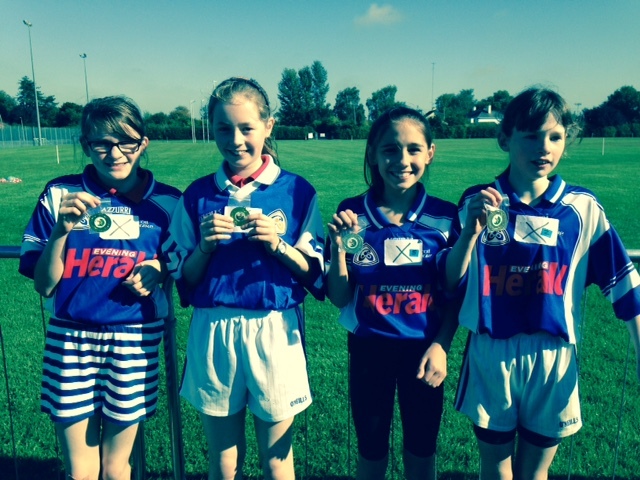 Quinn, Gunner Scally, Diana, Ava and Eva. 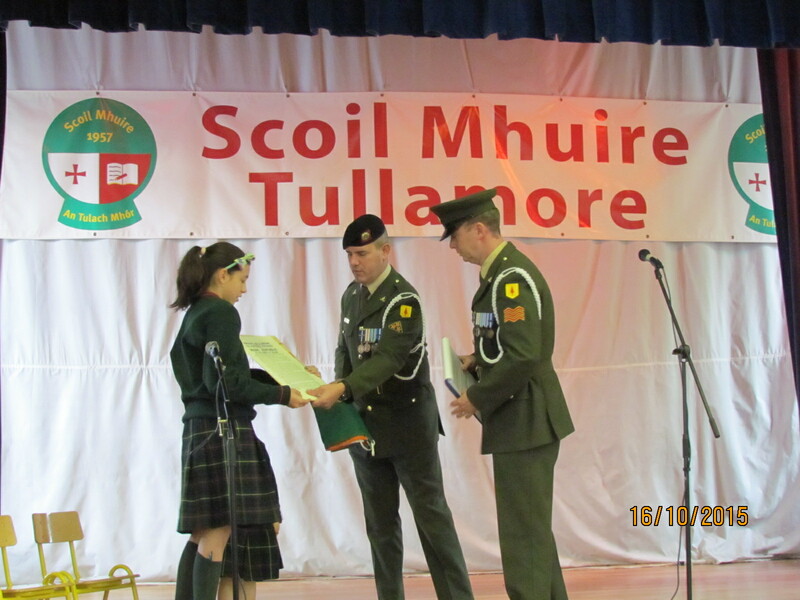 Principal Ms. Doheny with Gunner Scally, Sgt. Quinn, Ava and Diana. 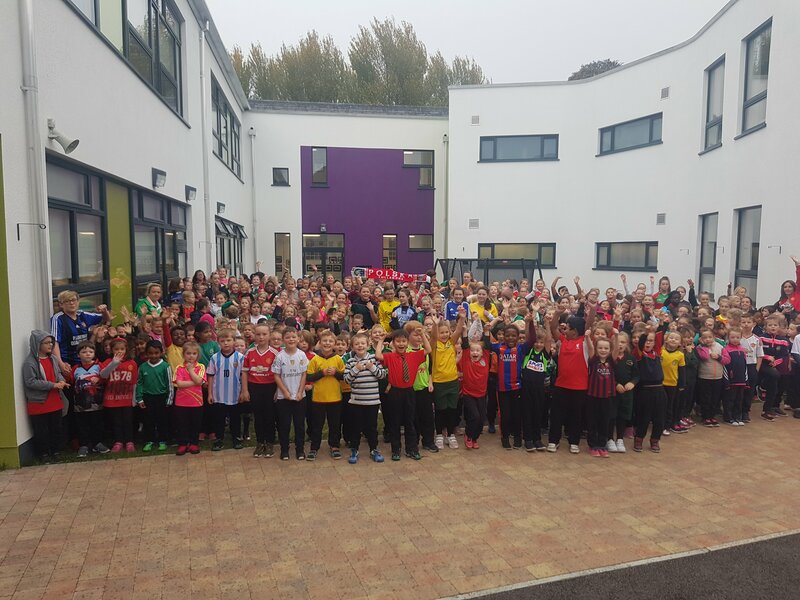 The whole school joining in the celebrations. 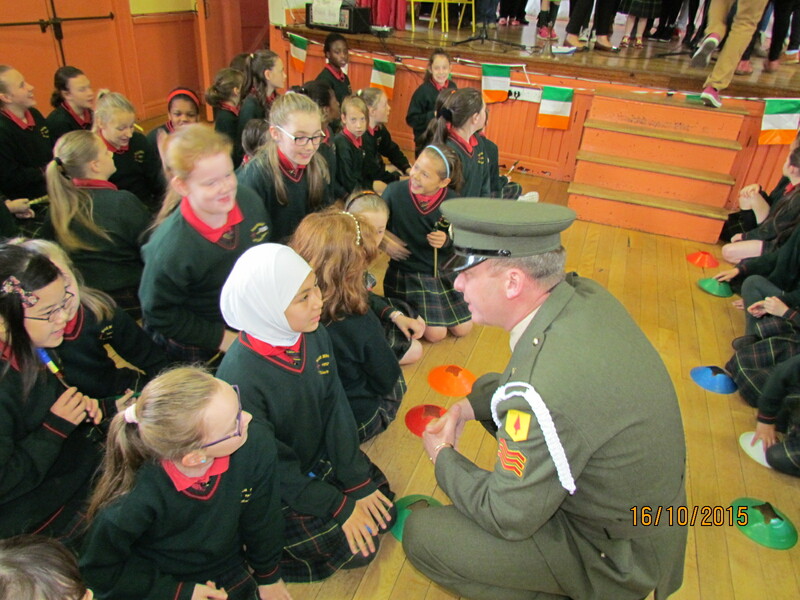 Having a little chat with our recipients. 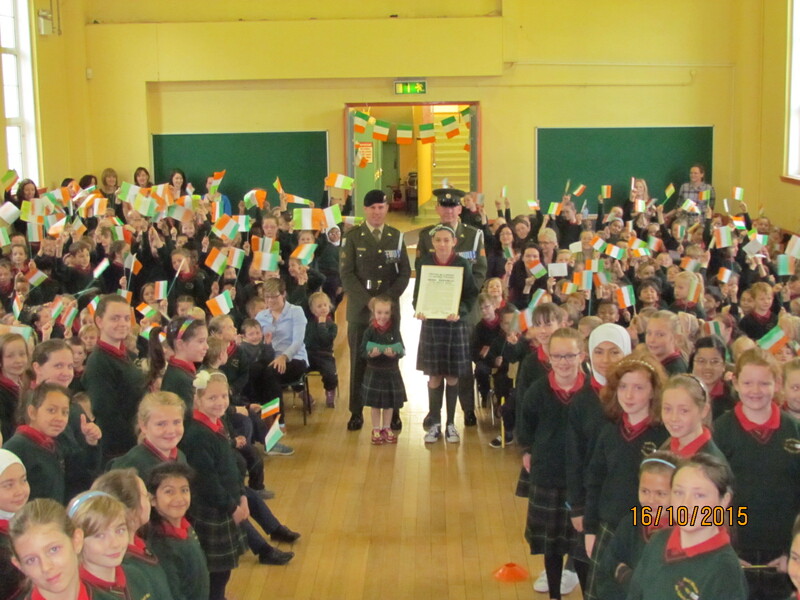 Lots of excited flag wavers! 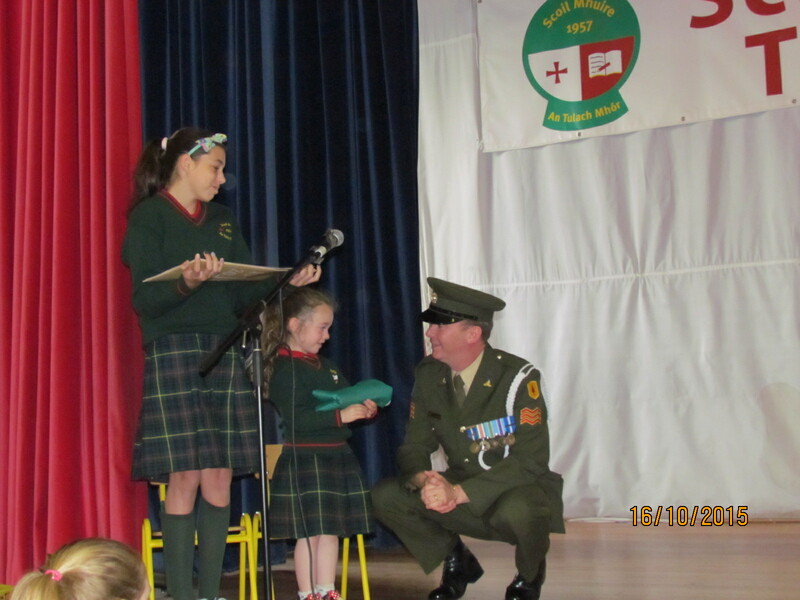 Taking questions from the attentive audience. 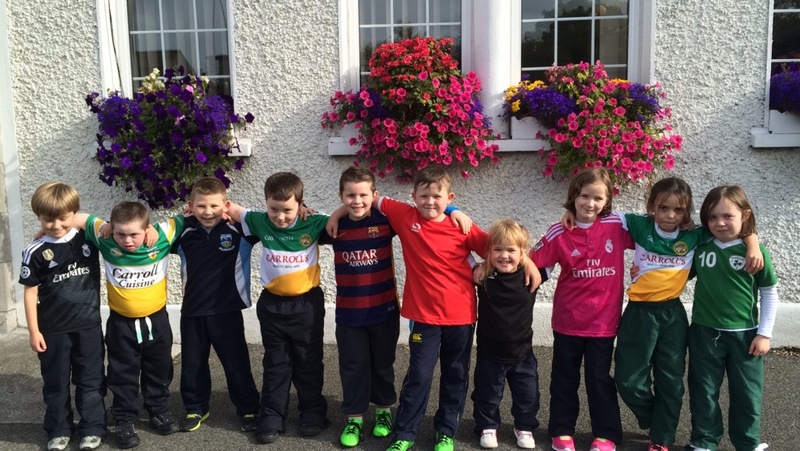 Another very busy week in Scoil Mhuire! 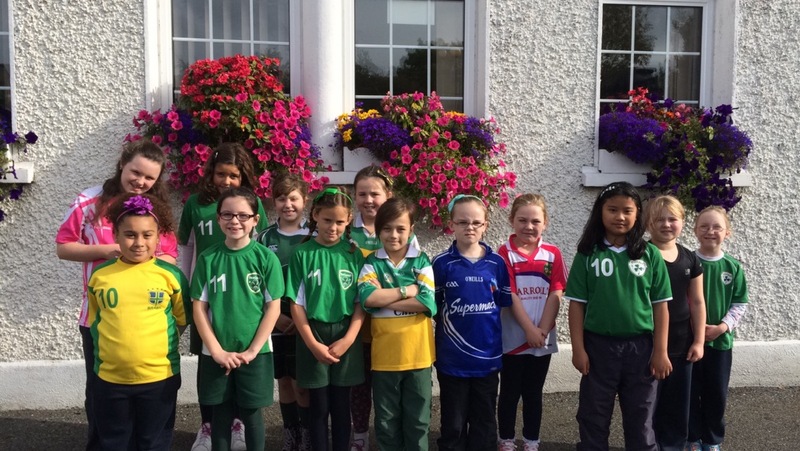 The Green Team Hard at Work. 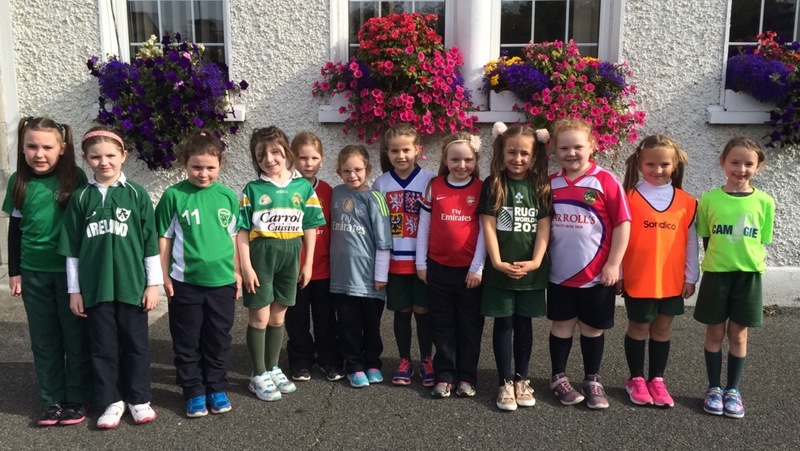 Sporting our colours for Jersey Day! 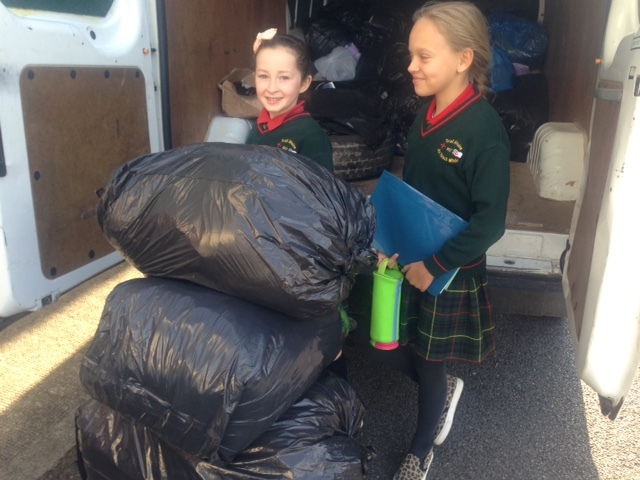 Clothing Collection for a great cause. 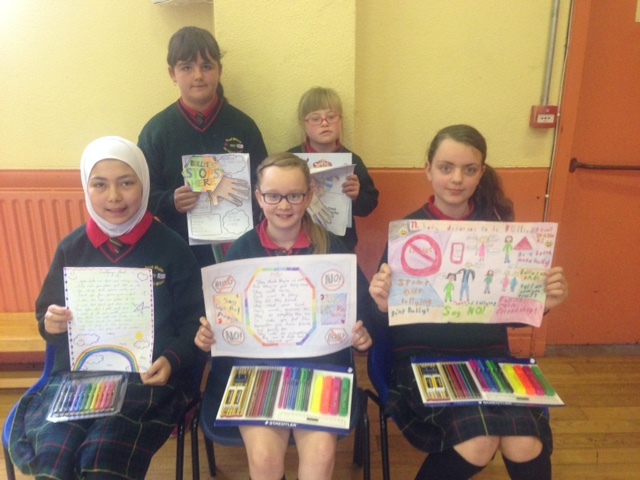 Prizewinning Posters and Poems for Anti-Bullying Week. 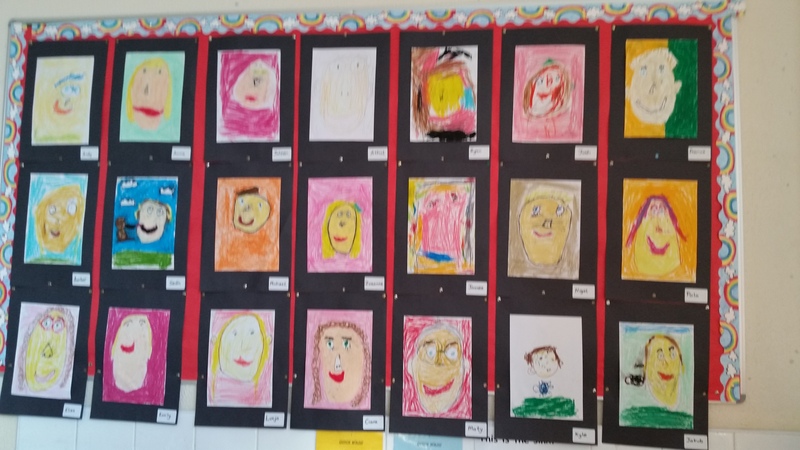 Beautiful Colours in our posters for Anti-Bullying Week. 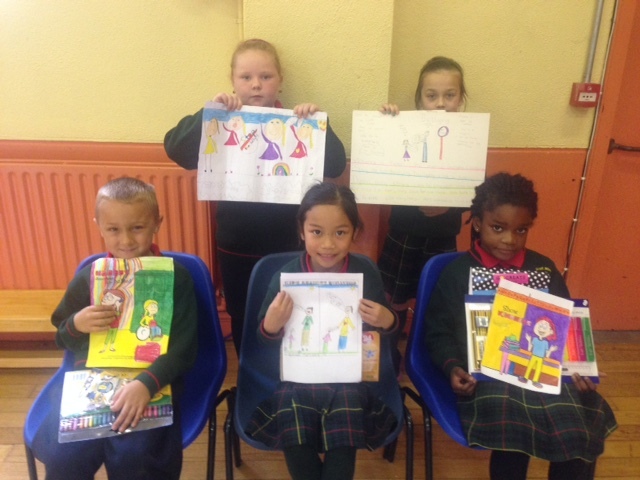 More wonderful Posters and Poems for Anti-Bullying Week. 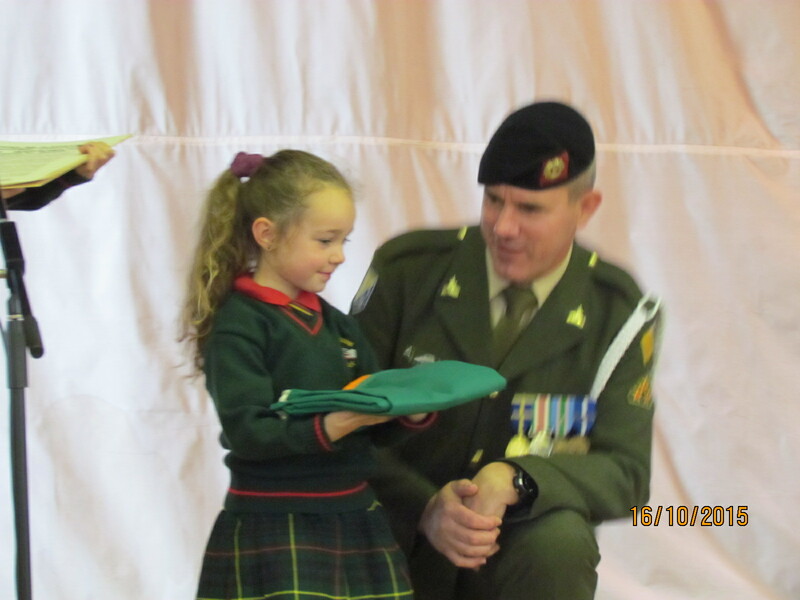 Big hearts sending care packages to Syria. 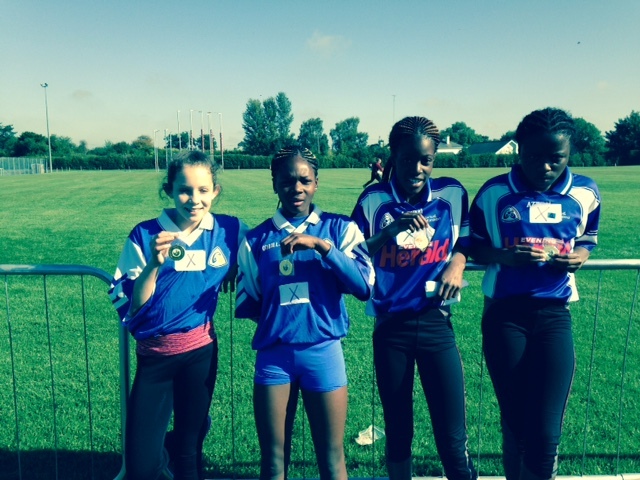 Well done to all our superstar runners who did Scoil Mhuire so proud today. 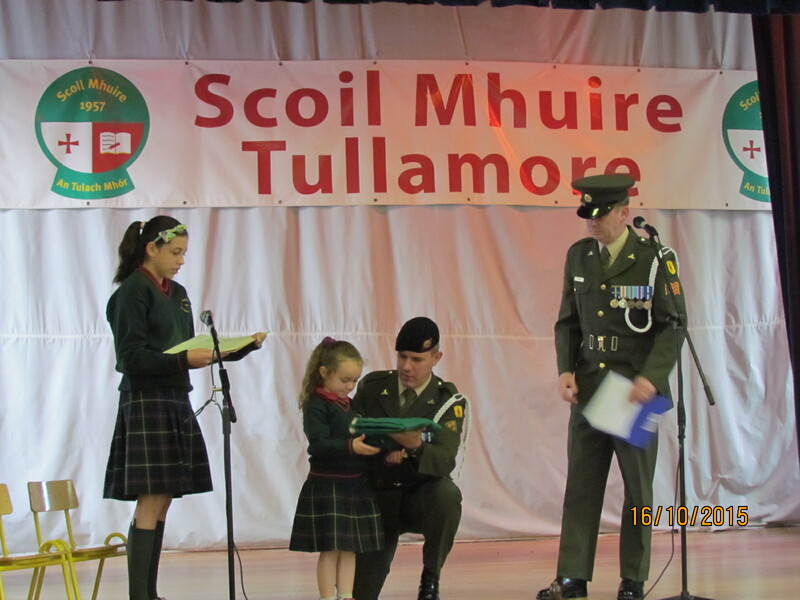 Welcome back everyone to what will be another great year in Scoil Mhuire.